Royal Dutch Shell is a global energy company that has always valued soft skills, even as the particular skills it prizes have changed. For example, Shell once considered it important for employees to be able to engineer agreement among stakeholders because decisions at the company were driven by consensus. Over time, Shell began to see that consensus didn’t always lead to the best decisions. So the company began encouraging dissenting voices. As a result, Shell now looks for candidates who are capable of challenging the status quo — in an appropriate and effective manner — and who can help the company drive innovation. Those soft skills are critically important for Shell and its ability to remain a leader in an industry undergoing a sea change. Soft skills are undoubtedly important to your company too. Nearly all (91%) of the talent professionals surveyed for LinkedIn’s Global Talent Trends 2019 report said that soft skills are very important to the future of recruiting, yet more than half (57%) also said they struggle to assess them accurately. Part of the challenge is only 41% report their company having a formal assessment process in place. Shell, on the other hand, has developed a multipronged approach that uses work assessments, interview questions, and more to assess candidates. Here’s why Shell puts soft skills at the forefront of candidate evaluations and how it measures them during the hiring process. Shell is one of the world’s largest companies with operations in more than 70 nations. Its customers span virtually every market and industry. Employees lean on a range of soft skills to successfully navigate this sprawling multinational. Shell also values other interpersonal skills, such as relationship-building, and believes that soft skills contribute to the exceptional internal mobility of its employees. Employees have helped Shell evolve as a company — look at its leap from a consensus model to one embracing clashing views — so Shell in turn is interested in helping them grow and develop their skills. Feedback plays a major role in this. To develop the soft skills of its employees, Shell needs to have a clear idea of which soft skills they already possess when it hires them. That’s where assessments come in. The Global Talent Trends report found that 68% of talent professionals rely primarily on social cues to identify soft skills. But such perceptions can be highly subjective, making it difficult to keep unconscious bias out of the hiring process. To eliminate the guesswork, Shell looks for what Debbie calls “rigorous evidence” that its candidates possess the soft skills the company is looking for — and that they can apply them across different settings. Interviews play a critical role in gathering this evidence. Shell uses a mix of competency-based and behavioral questions to test for both soft skills and technical abilities. One question interviewers often ask is, “Tell me about a time when you had to deal with conflict.” This can tell them a lot about the candidate’s empathy, resolve, and willingness to learn from difficult experiences, no matter how big or small the conflict was. But interviews aren’t the only assessment technique Shell relies on. Other methods include asking the candidate to give a presentation about a previous project they’ve worked on or about a pack of information and a brief that they’ve been given to review. In 2017, Shell also introduced a short “work style” self-assessment for candidates who have recently graduated from college. The assessment, which takes about 10 minutes to complete, helps Shell better understand how a candidate is likely to behave on the job based on five key soft skills: drive, adaptability, supportiveness, assertiveness, and creativity. Since recent grads often lack a lot of work experience, it can be harder to get a handle on their soft skills. This test (which has no wrong answers) can provide insights that more traditional assessments may not. Shell seizes every opportunity to objectively measure a candidate’s skills and gather the evidence it needs to drive better hiring decisions. This includes using multiple assessors to reduce the potential for bias. Every test a candidate takes is reviewed by two trained Shell assessors (not necessarily hiring managers or recruiters), increasing the rigor of the assessment process. Debbie says this exacting and well-rounded approach also leads to a better candidate experience, even if the person is not ultimately hired. The emphasis on soft skills makes the process feel more human and allows candidates to feel confident that the reviewers were being thorough. While Shell is satisfied with its current assessments, it hasn’t stopped trying to fine-tune the process. 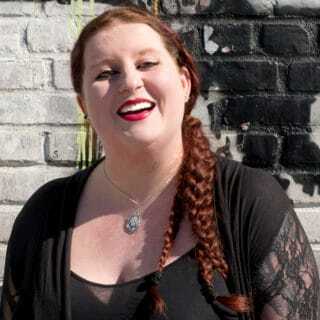 With many companies struggling to accurately and consistently measure soft skills, Debbie has some advice for those who want to follow in Shell’s footsteps. Debbie recommends that, after identifying your key soft skills, you find a way to gather hard evidence of those skills. Behavioral interview questions and other assessment methods, including a lot of exciting new technology, can help. 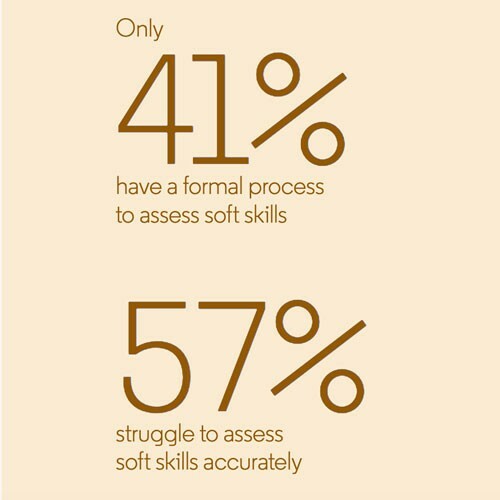 For more tips about how to accurately assess soft skills, download the full Global Talent Trends 2019 report.